Enjoy your TV mounted flat to the wall. 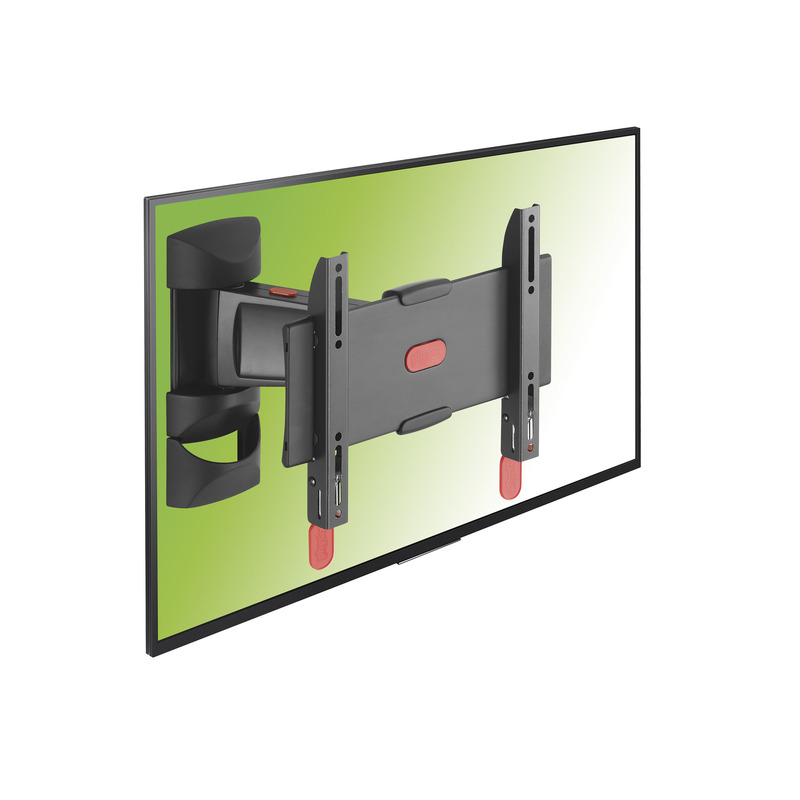 The TURN SMALL wall mount from Physix is suitable for TV’s from 19” to 43” weighing up to 20 kg. 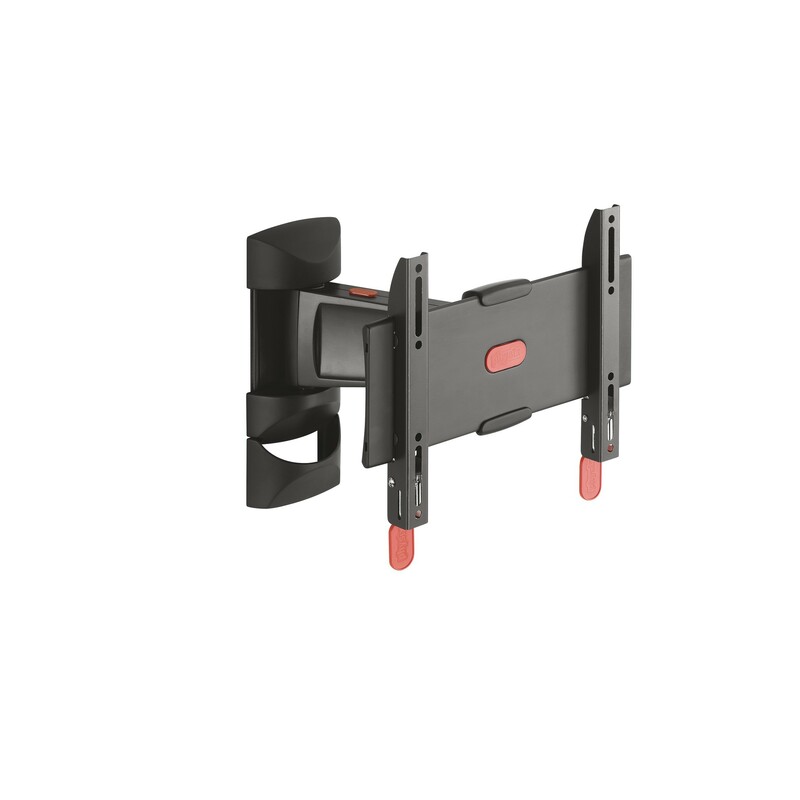 This universal support is suitable for almost all TV brands. 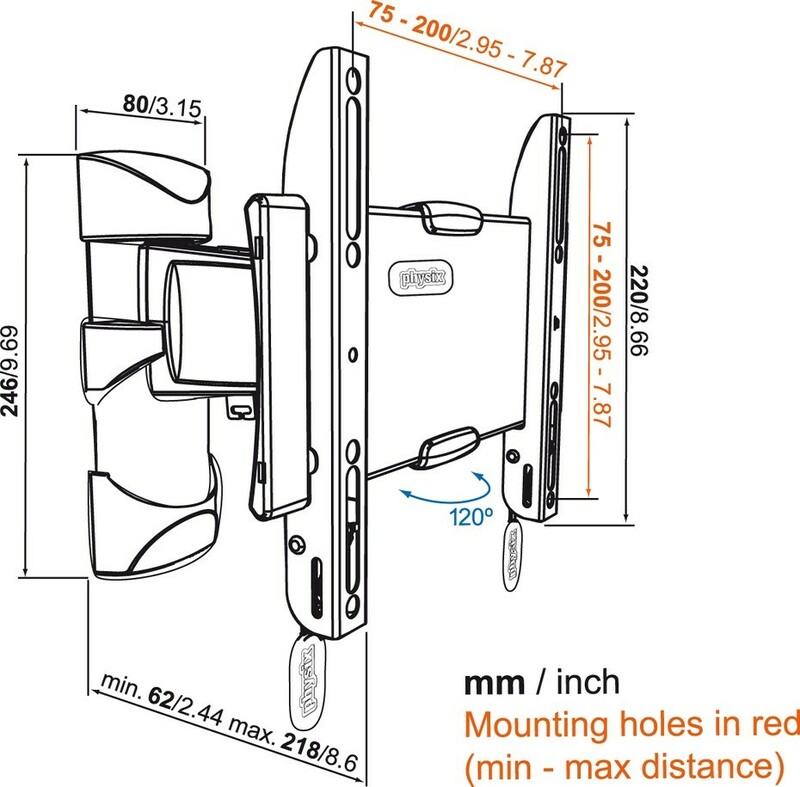 It comes with easy mounting instructions, as well as all the screws and wall plugs you might need. The Turn functionality let’s you turn the screen left or right up to 60 degrees (depending on TV size), to ensure the perfect viewing angle from anywhere you want to watch. 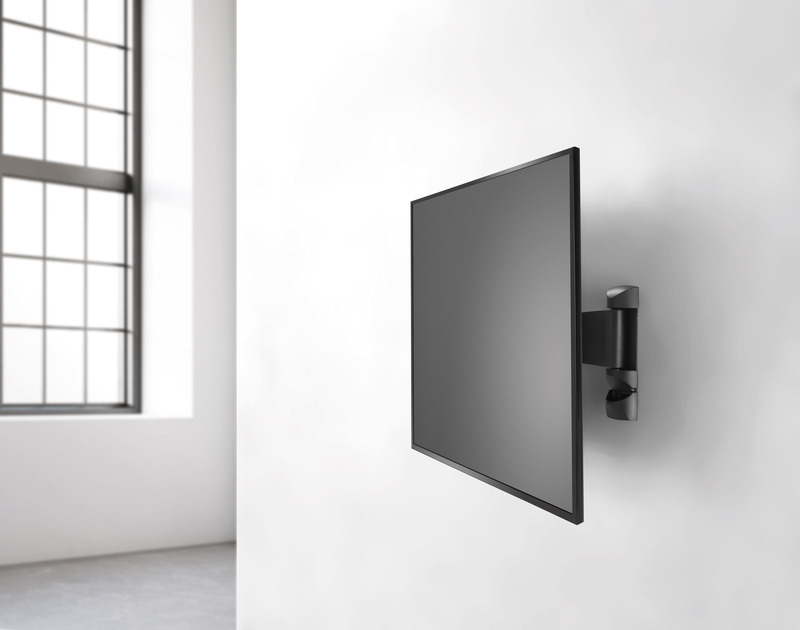 The Lock Release feature clicks your TV to the wall, and ensures a secure & safe connection between the TV and the wall mount. Enjoy your TV mounted (very) flat to the wall, and turn it towards you for the perfect viewing angle. 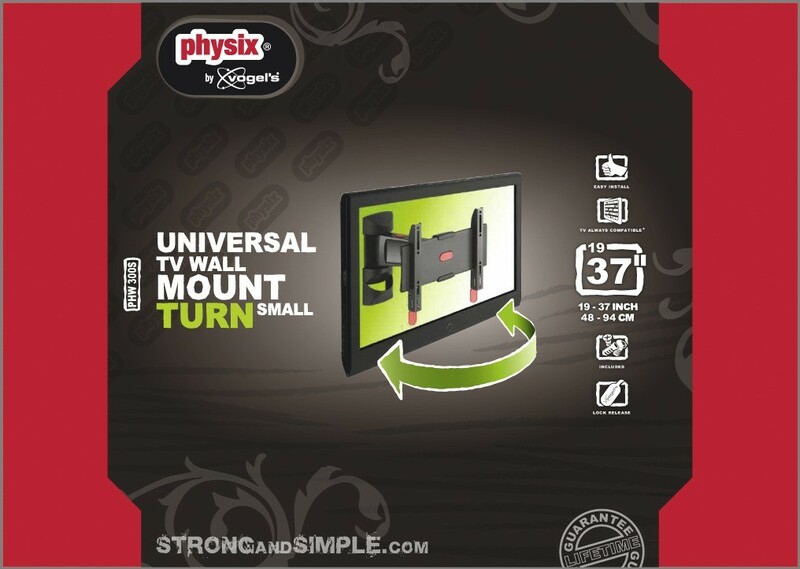 The TURN SMALL wall mount from Physix is suitable for TV’s from 19” to 43” weighing up to 20 kg.